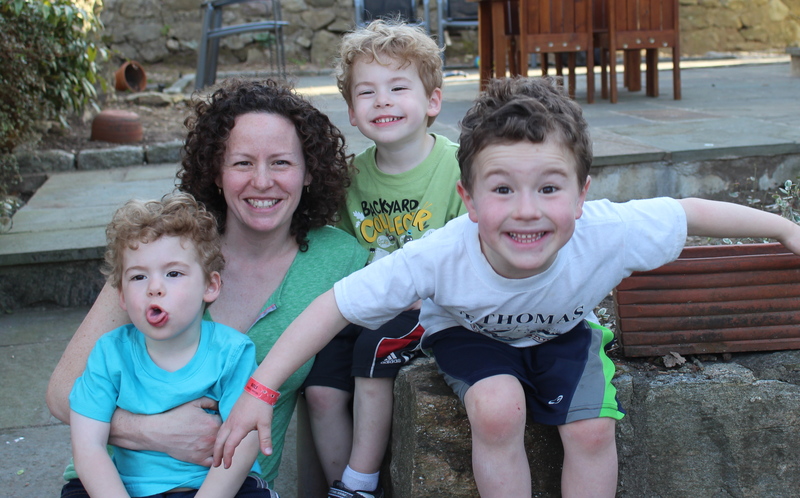 Last Thursday we sat down with Elaine, mother of three little boys and author of the ‘House of Bedlam’ food blog based out of Mamaroneck, NY. Creative, resourceful, and persistent, this cooking mom has been “chronicling the journey” through food and family time for two years, and she has a few insights into the ups (and downs) of cooking for kids, with kids. Our biggest takeaway: when it comes to food, take baby steps! Elaine is no stranger to the tears, tantrums, and faces that accompany anything green on a child’s dinner plate, but she insists that kids are flexible. If they grow accustomed to eating the same thing every day, they will be less likely to try new foods as they get older, no matter how homemade it is. “It’s certainly easier to get a box of food or order chicken nuggets, but I want my kids to eat better than that.” After two years of trying new recipes with her family, Elaine’s boys don’t mind the greens—even broccoli and Brussels sprouts. One of the secrets behind a successful family food experience is fun. Make choosing ingredients and preparing recipes exciting, get your kids involved in the cooking process, and eating dinner will be more fun—and less dramatic. Elaine has learned that the more invested her boys are in the meal choice and preparation, the more likely they are to try it. And, baby step by baby step, they might learn to like it. A few tricks to making dinner dynamic? Try taking them to the farmer’s market, or taking them grocery shopping. “Let your kids pick a new vegetable to try once a month,” she suggests, “or if you’re ordering on the computer, let them push the buttons!” The little things make all the difference. Elaine, who started the blog primarily to document her family’s adventures with food, stresses that cooking and eating dinner can be fun. Whether it’s pizza, or pasta, or a five-course meal, homemade food is much better than anything premade or frozen. “Whatever you do, start simply,” Elaine urges. Whether it’s cooking new foods or introducing your kids to homemade, healthy food, start small. Remember that not every meal will be a hit, but every little step toward a healthier family is one in the right direction. Looking for an easier way to get cooking?